As widespread as cremation now is in the United States, some families still feel as if they’re excluded from the cremation process, and from saying goodbye to their loved ones in the manner they deserve. Sometimes, family members choose cremation if they don’t live near their loved ones, or don’t have the financial resources needed to pay for a funeral. In other cases, families opt for cremation from the start, but aren’t aware they can still have a memorial service and a final viewing. Regardless of the situation, families who cremate often express needing a final way to say goodbye to their loved ones before they go through the cremation process. The ceramic stones are available in a variety of soft pastels, and come with full instructions for writing your message on the stone. Hathaway requires families to contact him at his website to find out which local cremation providers can provide them with MemryStones. After writing the message to your loved one on the stone, you can return the stone back to the cremation provider, who will include the stone with your loved one’s body during the cremation process. During the cremation process, the MemryStone remains intact, but changes slightly in appearance due to high temperatures. Following cremation, the MemryStone is returned to families along with their loved one’s cremains. 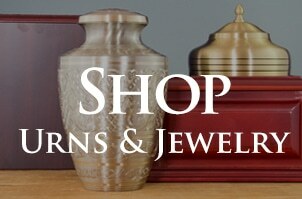 Hathaway says that in the cremation business, many families are concerned about the true identity of the cremated remains returned to them. However, after having included one or more MemryStones with their loved ones during the cremation process, families feel more assured they’re in possession of their loved ones’ true remains. Approximately 80 percent of all families who work with Hathaway’s funeral home choose to have cremation with MemryStones included. Families say that the stones allow them to keep the personal thoughts they shared with their loved ones, and that the stones help with the grieving process. 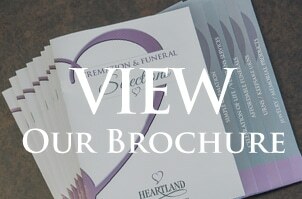 At Heartland Cremation, we offer services and solutions that ensure peace of mind for you and your loved ones. Please contact us today to learn more about the funeral and cremation services we provide throughout the Kansas City region.